Here it is, all in one picture: the future of healthcare. At least a lot of it. These are the topics Lucien Engelen has been talking about, the concepts he’s been developing, since arriving at Radboud University Medical Center (RUMC) in Nijmegen, The Netherlands. You MUST pay attention to what he’s thinking about, because it’s coming, and most people don’t know it yet. So study that picture. 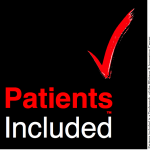 Yes, patients actively involved in creating a med school’s whole curriculum. So, what do you get when everything in that illustration is rolled up into a “what’s next” event? 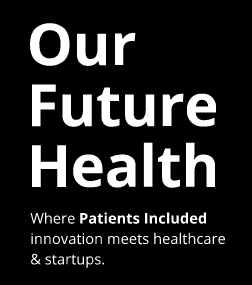 Lucien and RUMC are now working on OurFutureHealth.org – “where Patients Included innovation meets healthcare and startups.” In other words, the vision that’s been discussed within healthcare is being extended to the business community. It’s a 30 hour long, round-the-world event starting on May 26. Check out the website. That’s related to why he was in Banff this week, a gorgeous mountain area 90 minutes west of Calgary, delivering a keynote speech at the first Joule Innovation Forum. 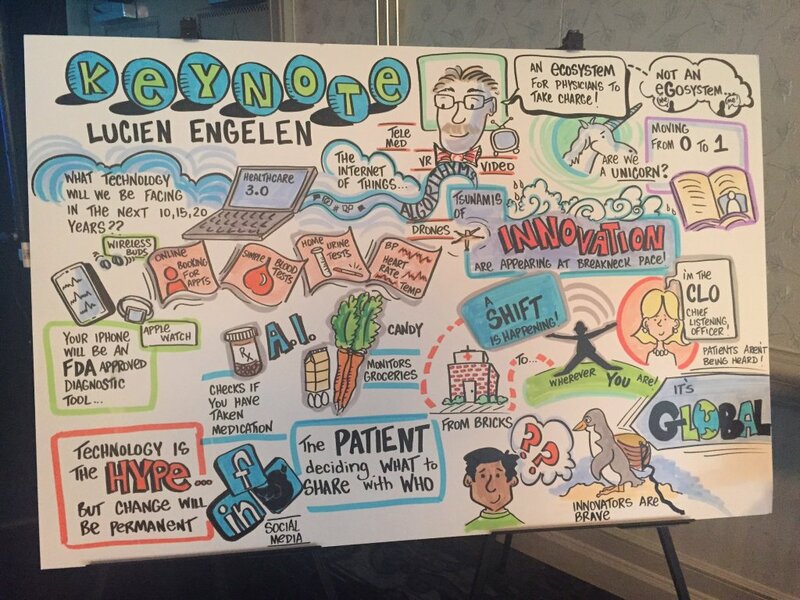 The illustration at top was created by a graphic recorder* during his keynote. Who’s Joule? They’re an innovation company formed by … the Canadian Medical Association. Think about that! And keep an eye out for news on the #OurFutureHealth hashtag. Because I bet five years from now we’ll be talking about how that turned out, too. *”Graphic recorder” artists are new in the past few years – they draw, fast, on the fly, during a speech or a meeting. Good ones are stunning in their ability to hear what’s being discussed and capture it well even if the subject is unfamiliar. Thanks for the mention Dave. It was a great conference with an awesome launch of #joule. Will blog on that during my flight back next week.